Does anyone think these shoes from Vans are actually going to cut it in the wild? 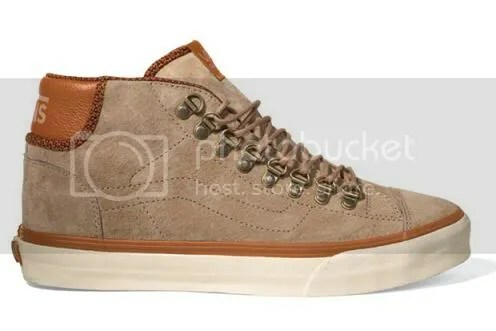 I’ve been wanting a decent pair of kicks to go muckin’ around in, and I do like the looks of these, but it seems like the only thing making them “hiking” shoes/boots is the hiking lace loops and earthy colorways. Thoughts? Suede isn’t the best material to muck up. Also, I imagine the sole might not be good at gripping the ground very well but you’d look pretty “foine”* wearing them.